Random murder and savage overkill, mind control and badtrips, Satanism and witchcraft, cursed glamour, Haight Ashbury, rock 'n' roll, biker gangs, sexual rebellion & dune buggies tearing across Death Valley in search of the hole in the Earth. The persona of Charles Manson and his bizarre sway over the Family remains riveting a quarter of a century down the line. 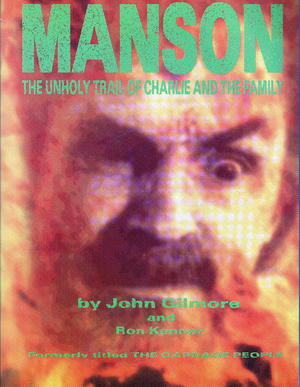 Manson is a gripping account of one of the most chilling and fascinating crime sagas of our time. Now available as a revised and updated edition containing 36 pages of previously unpublished photographs. New vectors into the kaleidoscopic tale that spins inexorably out of the slayings emerge in this updated edition with new material on killer Bobby Beausoleil and his occult alliance with experimental filmmaker Kenneth Anger.